After posting the Brown & Gold 50th Anniversary Party inspiration board last week, I received a few more reader requests. 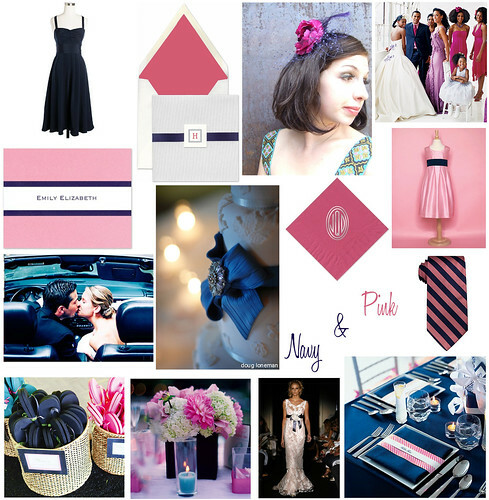 Reader kT wrote "...anything with navy and pink?". Unsure if this was for a wedding or a party, I decided to include details that would work well for both. kT, I hope this has helped to inspire your event! Of course, if you have a reader request, leave me a comment or feel free to send an email!